Happy birthday, Dublin Airport! 75 years seeing us off the island and back again. Many airports are endured rather than enjoyed but I always hope for a good hour to squander airside at Dublin. It's a chance to survey the full landscape of Irish whiskey and chat with the sales staff, enthusiasts themselves and keen to offer information and opinions. (They have formed their own whiskey club, based at the airport: the Aviators Whiskey Society). There is the prospect of uncovering a previously unknown bottle since new releases sometimes surface at The Irish Whiskey Collection weeks before they appear elsewhere. And then there are the whiskeys that are entirely exclusive to the shop (which has a branch in Cork airport too). 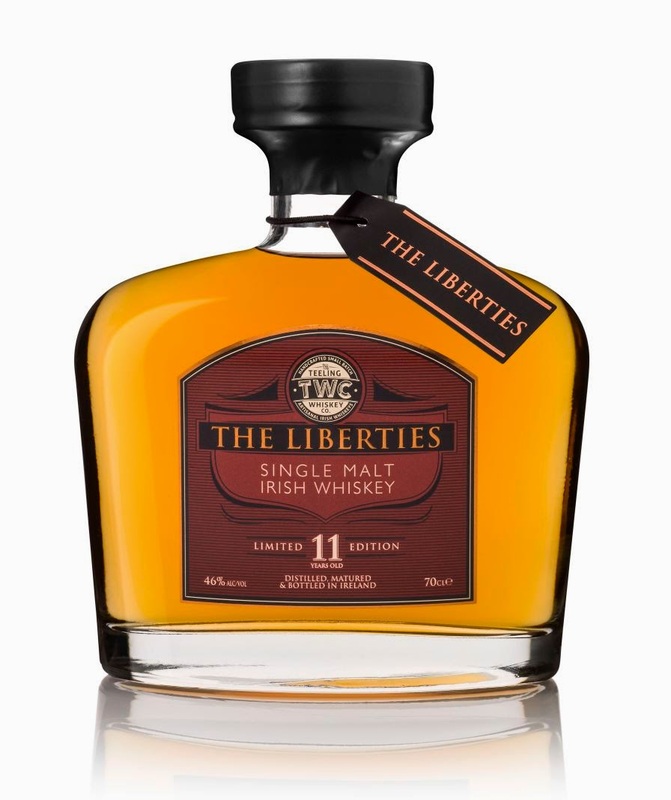 The latest exclusive is The Liberties Single Malt, one of several collaborations to date with the Teeling Whiskey Company. It's named for the area of Dublin that Teeling and others are rapidly transforming into a new distilling quarter. The whiskey is aged for over 11 years in ex-bourbon casks and bottled in a limited edition of 1,000 at 46%, with no chill-filtration. At €99 it could be worth a punt. I haven't tried it, but I was a fan of an earlier TWC/IWC hookup, The Gathering.